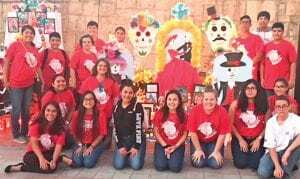 For the second year in a row, the Jourdanton Spanish Club submitted a hand made altar into the Altar Exhibition and Contest in the San Antonio Dia De Los Meurtos Celebration held on Oct. 27 and 28. 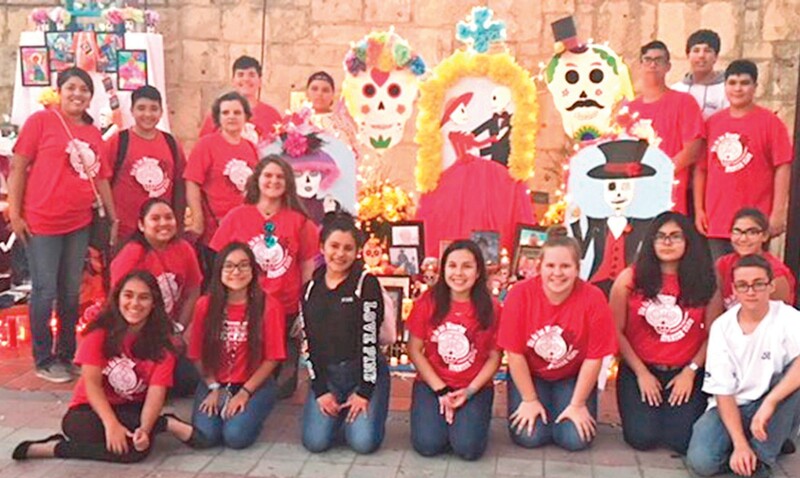 The event was held at the La Villita Historic Arts Village where roughly 45 schools displayed their altars at the festival. By participating, members got the opportunity to have fun with friends while learning and celebrating the true meaning of Dia De Los Muertos. Jourdanton’s altar was titled “Nuestras Raices,” meaning “Our Roots,” to celebrate memories of family and community members that shaped the lives of its members. The altar consisted of colorful tombstones of Dia De Los Muertos icons, skeleton figurines, paper flowers and pictures of loved ones that have passed on. In the very center of the altar lay pictures of Joe Rudy Alvarado, Vincent Vallejo, and Madison and Tanner McCleary, each whose lives were tragically taken too soon. Overall, the altar shows that memories of loved ones will always be remembered and kept alive for generations to come, which is what Dia De Los Muertos is all about. The Jourdanton Spanish Club placed 2nd overall in the fan favorite voting online with 280 votes.